Lucky guy! No need for 2 pay stubs or W2 or AGI from last tax return. You will receive a letter informing you of approval and then 10 days later you get the credit card. 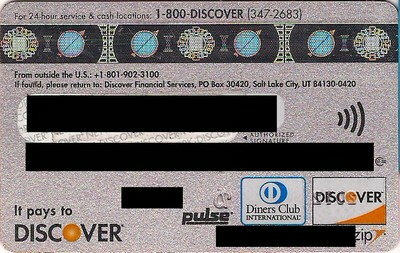 It is not written there, but after you get the credit card and activate it, you need to call and ask for a pin to be sent. They do not on their own send the pin. Yesterday, I filled out their online "loan" form for a 10K Azure card, indicating a decent income, but not attaching any documents. The instructions were a bit confusing/contradictory on the matter, with no green check mark for that "requirement", but a disclaimer that documentation may be requested (later) for approval. This evening, not having heard anything, I went to attach the paperwork for assets and 2014 taxable income -- lo and behold, the application status read APPROVED: 10K! I suppose I can expect a confirming message later? 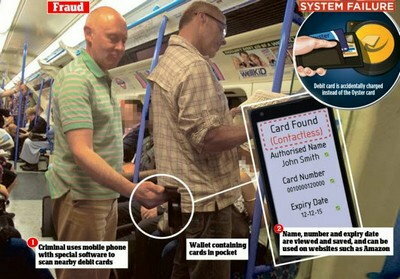 I think it is a flawed logic to assume that moving to a secure chip and pin at POS will lead to more on-line fraud; so let us live with the current insecure system. The liability may rest with Visa, but the enormous work for card users to get new cards and notify auto billing companies is not insignificant. Secondly, the rest of the world has moved to Chip and Pin so it is the US that needs to adapt, not visa trying to arm twist Europeans to change their system. The only reason I got myself a pure chip and pin is because I have had many embarrassing situations where my chip and signature cards or magnetic swipe cards did not work overseas. 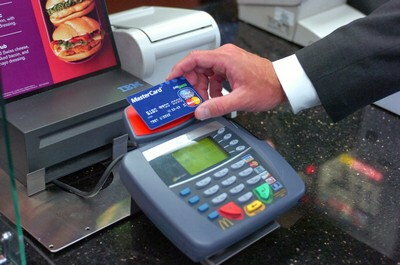 I would prefer to have a more secure chip and pin in the US, but it is not a deal breaker. But should there be another fraud case at POS, I am going to blog heavily and criticize the companies and name the CEO's and shame them. They have time until October. Most shameful will be if Target joins this crowd. There is no reason, Target can't go for Chip and Pin for its own Target store card. This has nothing to do with Visa or Master Card. I do kinda understand where the retailers are coming from to an extent. They're being asked to implement something that's supposed to improve security (at fairly significant expense to themselves relative to the issuers), yet nearly all of the cards that will be used with the new systems will not take full advantage. On top of that, the attacks that have happened have been malware based and have not involved traditional skimming, which EMV itself doesn't solve. Remember, there are still a whole lot of online stores that don't even ask for CVV2 let alone a valid address for AVS verification. 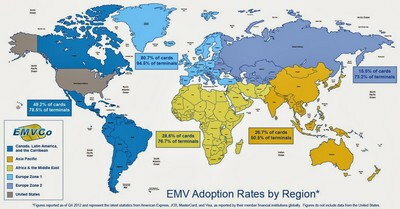 Speaking of online stores, we are the last country to attempt to switch to EMV. 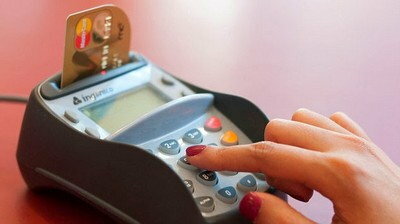 As a result, it is very possible that the US will see no decrease in the total level of credit card fraud whatsoever. Sure, cloning type fraud will go down, but other forms of fraud will go up right at the same time. 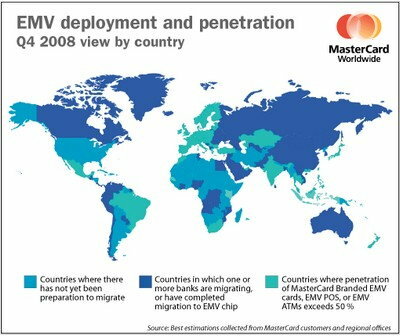 When looked at this way, EMV as implemented by the US looks like it's a very poor value for the dollar. At least if we had gone straight to PIN we could point to the stats and say that the majority of card present fraud would go away (instead of the 37% of so that chip and signature would solve). I look at Coin and think that if it had come out a couple of years before it did it's very possible we'd use that technology instead. A dynamic magnetic stripe allows for tokenization, albeit a primitive form of it. 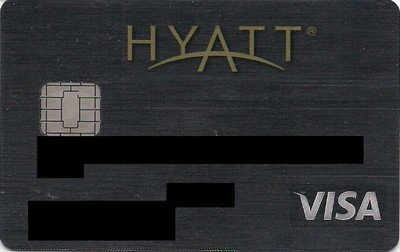 Even if we didn't have Coin-type tech, we could have put a different card number on the magstripe and configured bank systems to disallow all online transactions using it (likewise, the number on the front of the card could be set up at the bank to disallow all in-person transactions). The magstripe can still be cloned but the AI that the banks already use to stop suspicious transactions could help with a large part in stopping transactions on cloned cards. A companion bank app on the phone, especially with location services turned on and "phoning home", would also provide valuable information to the AI to help with fraud prevention. However, a lot of bigger retailers have the equipment already, so obviously they have no problems playing by Visa/MC's rules. I wonder if it's a play to try to get a 1-2 year extension to the liability shift so that they can finish the necessary software improvements to their POSes to support EMV. Speaking of malware, Krebs reported on a credit card breach at Mandarin Oriental a couple of days ago. Also, REI is switching from Visa to MasterCard as well; no word on whether it's EMV related or not. There are not going to be extensions at this point, you're starting to think like a retailer, and that's not good. "Oh no, we're victims. These big awful card networks give us a globally interoperable payment network convenient for us and our customers, dramatically increase our average basket, save us cash handling costs, and increase customer loyalty. Screw them, we don't want it... except we do and would never leave them." The EMV liability shift was announced years ago. Durbin complicated it, yes. Though merchants can act as if Durbin didn't exist and just run the major networks. Banks have already issued chip cards and fulfilled their side, thus there's no way merchants are getting an extension and they sure as earth shouldn't. The only merchants I feel maybe should are airlines, because US banks F'd up big time on that one and issued stacks of cards not capable of offline authorisation. P.S. I don't know where you're getting your numbers, but chip and signature is sufficient to eliminate almost all card present fraud. I just hate it because it's a hassle, PIN is so much easier to use. In fact, EMV in the US will have the nice side effect of further reducing card present fraud on cards issued in OTHER countries, as stolen track data is often used in the US. Actually Allie, the simplest and most hassle free is swipe and no signature. Done in seconds! More and more companies are dispensing with signatures, with visa and mc blessing I might add, for small purchases and the reality is, whether you or I like it, is very rare in this day and age since most of the time we swipe our own cards for some 16 year old kid working as a cashier to pick up a few bucks even looks at the signature for amounts under $200. See it every day of the week and twice on Sunday in supermarkets. Now that's truly hassle free; unless your card has been cloned and you get nailed with fraudulent charges I remember reading here of a British visitor to the USA who was absolutely shocked that in many cases no signatures were required and almost never checked on his credit card transactions and that the only place his pin worked was at Walmart! We'll just have to wait and see just how this thing finally shakes out but as I said, it is becoming evident that the USA will be a chip and signature country no matter what. The only question is how many places will use the pin on chip and pin primary cards. I would suggest it will be less than 30%. A move to EMV chip-and-signature alone will not stop opportunistic card use if the legitimate card is stolen and used in a card present transaction. Since the vast majority of retailers don't compare signatures in the US there is still a lot a thief could get away with. As I've said before, perhaps the liability shift will cause a renewed interest in checking signatures. Up until now there was enough benefit of the doubt such that the credit card issuer absorbed the charges most of the time because the retailer could make the argument that the customer used a cloned card that had matching signatures. After EMV enforcement, the assumption is that card present transactions will occur with the legitimate card only. Therefore if the signature between the card and receipt doesn't match, it's on the retailer. So I see the potential of EMV lowering card present fraud tremendously even with chip-and-signature. I am still a fan of chip-and-PIN, and I think the US will get there eventually... We'll see. The best practice is chip-n-biometrics. So far I haven't seen any places simply disable PIN support altogether, but those were all manned. Restaurants will probably disable PIN support at some point to continue to take cards away from customers as well (BTW I still need to try the DC card at a restaurant to see if this is already the case or if it'll be rejected/made to walk to the back). Kiosks that don't already support debit cards will also likely not support PIN. I have no idea how common the latter is though. The liability shift is such that as long as an EMV terminal is used the issuer still has liability. I don't think it'll affect retailers' behavior all that much (as in, they still won't check signatures). Retailers in other countries do additional stuff on top of signature checking precisely because signature is no longer common or expected. I had a $300 purchase yesterday, where the clerk seemed not to care about the signature much at all, yet I understand even the smallest chip + sig transactions in Europe are cause to all but hire a handwriting expert? After that, I did my first non-WM chip + sig transaction in the States ($7 with no cvm waiver, slip printed). I must disagree with JJ in that I'm not a fan of swiping at all, preferring either chip or contactless. Some POS'es are finicky requiring multiple swipes. My CSP never works when I swipe it at the vending machines at work (probably because of the metal card), which is why I switched to using Apple Pay there. Just to be clear, my personal preference gun to my head would be chip and pin. I only said that the most hassle free is what we have today in the USA from the stand point of time; you swipe the card, no signature is required, a receipt is printed and you're done (in some cases say at many fast food joints you only get a receipt for the cc purchase if you specifically request it; often the clerks say do you need the receipt). Is this wise? Probably not although as we have discussed and I think most agree, signatures as a security measure are next to useless but a vestige of a long past era when with your signature you were agreeing to the terms and conditions of the sale (the original purpose of signatures). I was kinda hoping that Visa US would finally admit that signatures are useless and recommend that No CVM Required be at the top of the CVM list. I mean if the AI algorithms that banks have are supposedly good enough that the US doesn't need PIN then it shouldn't be a problem, right?